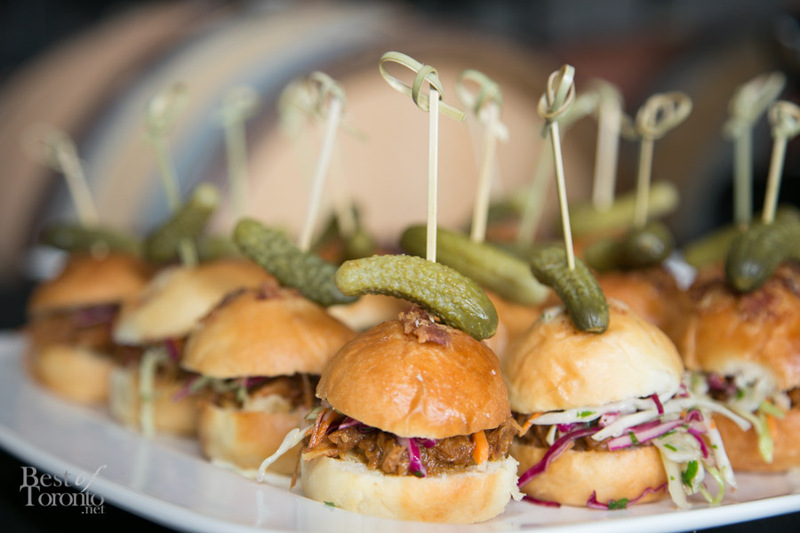 With a robust smokiness from the bacon and lingering finishes of sweet maple, you’d think that we were sampling a savoury dish. 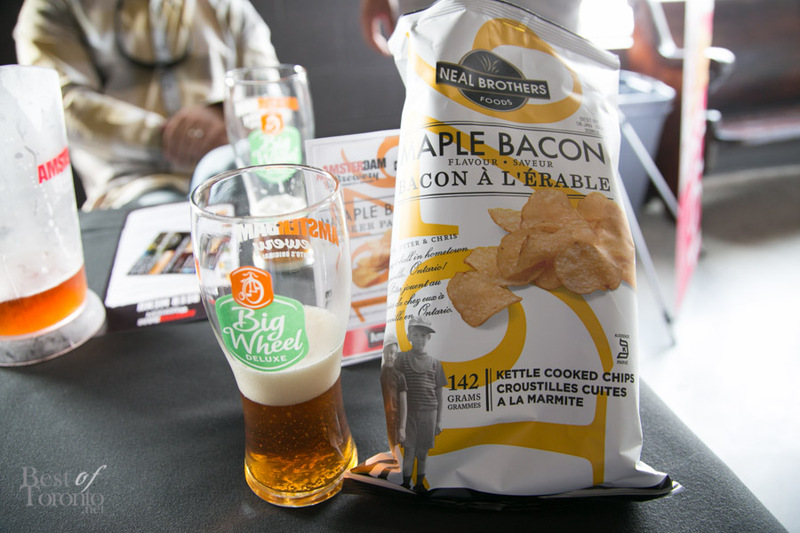 Think (slightly) differently: in the celebratory spirit of Neal Brothers Foods 25th anniversary, the dynamic duo recently launched their Kettle-style Maple Bacon Chips to the public. The Canadian brothers who hail from Aurora, Ontario started their company in 1988 from humble beginnings– fittingly enough, in their mother’s kitchen by making countless numbers cheesy croutons. Although they had their ambitions set on releasing their own rendition of Cape Cod chips, they decided not to go toe-to-toe with the then recently launched Miss Vickie’s chips. In a slight detour, the brothers opted to release their Croutons Croûtons product in 1990 instead. With abilities to be flexible to market trends, their entrepreneurial spirit has flourished and their successes have skyrocketed. In addition to offering Crouton fare today, the brothers have expanded their empire to include cheese snacks, pretzels, popcorn, tortillas, salsa, BBQ and pasta sauces, and of course, Kettle-style Chips. 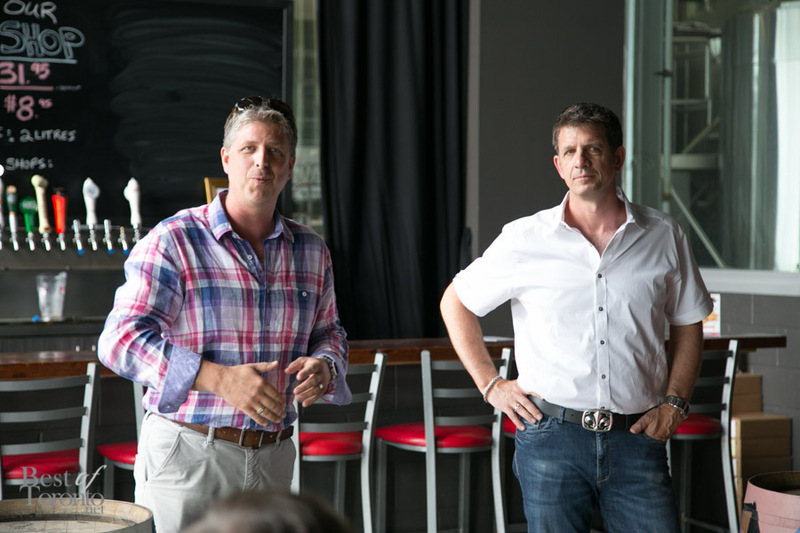 The brothers pride themselves on sourcing all natural ingredients and supporting the local community. 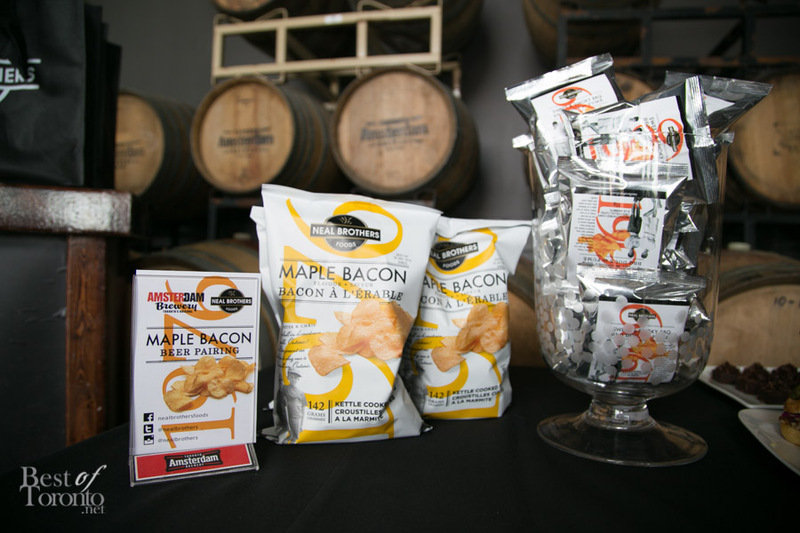 An appropriate example would be the brothers’ latest venture where they teamed up with Amsterdam Brewery to pair their newest creation, Maple Bacon chips, with the perfect beer. 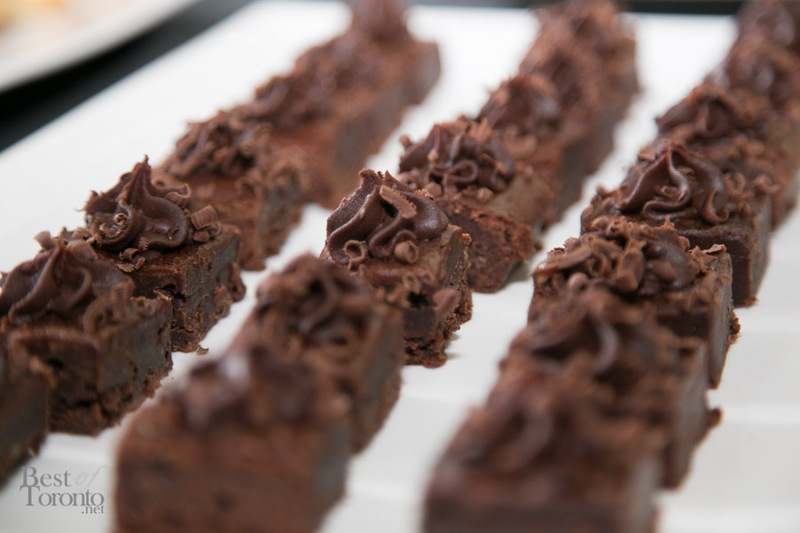 With The Siren Group at the helm of organizing the luncheon event and All the Best Fine Foods providing the catering by offering the crowd dainty pulled pork sandwiches and brownies for dessert, it was a midday delight to support the Neal Brothers and their delectable chips. Perhaps it seems like an oxymoron by eliciting the help of beer connoisseurs to pair chips with their drinks but such thoughtfulness is necessary as the crispy snacks are unique in their flavour profile. 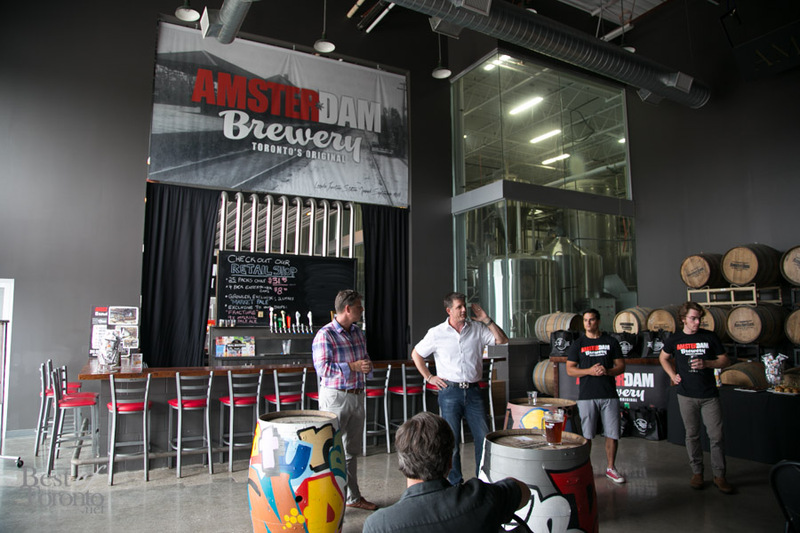 To balance the bold taste, Amsterdam Brewery recommended Big Wheel for its smooth finish, malty character, and gorgeous amber colour. A bite of the chips with a wash of this brew makes for a match made in heaven.